Presenting a radically new approach and technology for setting reliability requirements, this superb book also provides the first comprehensive overview of the M/F-FOP philosophy and its applications. - Case studies are taken from the nuclear, automotive and offshore industry to provide 'real-world' applications. 1 SOME BASIC RELIABILITY CONCEPTS. 1.1 Reliability (survival) Function, Cumulative Distribution and Probability Density Function of the Times to Failure. 1.2 Random Events in Reliability and Risk Modelling. 1.2.1 Reliability of a System with Components Logically Arranged in Series. 1.2.2 Reliability of a System with Components Logically Arranged in Parallel. 1.2.3 Reliability of a System with Components Logically Arranged in Series and Parallel. 1.3 On Some Applications of the Total Probability Theorem and the Bayes Transform. 1.3.1 Total Probability Theorem. Applications. 1.4 Physical and Logical Arrangement of Components. 2 COMMON RELIABILITY AND RISK MODELS AND THEIR APPLICATIONS. 2.1 General Framework for Reliability and Risk Analysis Based on Controlling Random Variables. 2.3 Homogeneous Poisson Process and Poisson Distribution. 2.4.1 Memoryless Property of the Negative Exponential Distribution. 2.4.2 Link Between the Poisson Distribution and the Negative Exponential Distribution. 2.4.3 Reliability of a Series Arrangement, Including Components with Constant Hazard Rates. 2.5.1 Difference between a Failure Density and Hazard Rate. 2.6 Mean Time to Failure (MTTF). 2.8 Uncertainty Associated with the Mean Time to Failure. 2.9 Mean Time Between Failures (MTBF). 2.14 Reliability Bathtub Curve for Non-Repairable Components/Systems. 3 RELIABILITY AND RISK MODELS BASED ON MIXTURE DISTRIBUTIONS. 3.1 Distribution of a Property from Multiple Sources. 3.2 Variance of a Property from Multiple Sources. 3.3 Variance Upper Bound Theorem. 3.3.1 Determining the Source Whose Removal Results in the Largest Decrease of the Variance Upper Bound. 3.3.2 Modelling the Uncertainty of the Charpy Impact Energy at a Specified Test Temperature. 3.4 Variation and Uncertainty Associated with the Charpy Impact Energy at a Specified Test Temperature. Appendix 3.2 An Algorithm for Determining the Upper Bound of the Variance of Properties from Sampling from Multiple Sources. 4 BUILDING RELIABILITY AND RISK MODELS. 4.1 General Rules for Reliability Data Analysis. 4.2.1 Testing for Consistency with the Uniform Distribution Model. 4.2.2 Testing for Consistency with the Exponential Model. 4.2.3 Testing for Consistency with the Weibull Distribution. 4.2.4 Testing for Consistency with the Type I Extreme Value Model. 4.2.5 Testing for Consistency with the Normal Distribution. 4.3 Estimating Model Parameters Using the Method of Maximum Likelihood. 4.4 Estimating the Parameters of a Three-Parameter Power Law. 4.4.1 Some Applications of the Three-Parameter Power Law. 5.1 A General Reliability Model. 5.2 The Load?? ?Strength Interference Model. 5.3 Load?? ?Strength (Demand Capacity) Integrals. 5.4 Calculating the Load?? ?Strength Integral Using Numerical Methods. 5.5 Normally Distributed and Statistically Independent Load and Strength. 5.6 Reliability and Risk Analysis Based on the Load?? ?Strength Interference Approach. 5.6.1 Influence of Strength Variability on Reliability. 5.6.2 The Importance of the Shape of the Lower Tail of the Strength Distribution and the Upper Tail of the Load Distribution. 6 SOLVING RELIABILITY AND RISK MODELS USING A MONTE CARLO SIMULATION. 6.1 Monte Carlo Simulation Algorithms. 6.2 Simulation of Random Variables. 6.2.1 Simulation of a Uniformly Distributed Random Variable. 6.2.2 Generation of a Random Subset. 6.2.3 Inverse Transformation Method for Simulation of Continuous Random Variables. 6.2.4 Simulation of a Random Variable Following the Negative Exponential Distribution. 6.2.5 Simulation of a Random Variable Following the Gamma Distribution. 6.2.6 Simulation of a Random Variable Following a Homogeneous Poisson Process in a Finite Interval. 6.2.7 Simulation of a Discrete Random Variable with a Specified Distribution. 6.2.8 Selection of a Point at Random in Three-dimensional Space Region. 6.2.9 Simulation of Random Locations Following a Homogeneous Poisson Process in a Finite Domain. 6.2.10 Simulation of a Random Direction in Space. 6.2.11 Simulation of a Random Variable Following the Three-parameter Weibull Distribution. 6.2.12 Simulation of a random variable following the maximum extreme value distribution. 6.2.13 Simulation of a Gaussian Random Variable. 6.2.14 Simulation of a Log-normal Random Variable. 6.2.15 Conditional Probability Technique for Bivariate Sampling. 6.2.16 Von Neumann?? ?s Method for Modelling Continuous Random Variables. 6.2.17 Random sampling from a mixture distribution. 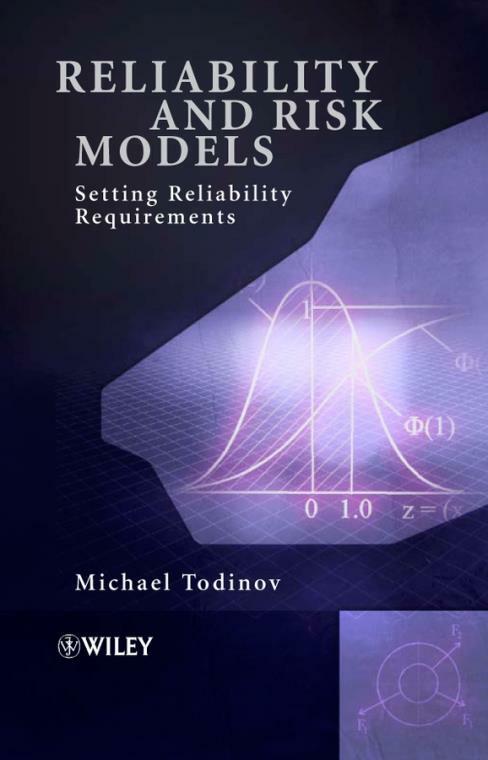 6.3 Monte Carlo Simulation Algorithms for Solving Reliability and Risk Models. 6.3.1 An Algorithm for Solving the General Reliability Model. 6.3.2 Monte Carlo Evaluation of the Reliability on Demand during a Load?? ?Strength Interference. 6.4 Monte Carlo Simulation of the Lower Tail of the Strength Distribution for Materials Containing Flaws. 7 ANALYSIS OF THE PROPERTIES OF INHOMOGENEOUS MEDIA USING MONTE CARLO SIMULATIONS. 7.1 Analysis of Inhomogeneous Microstructures Using Random Transects. 7.2 Empirical Cumulative Distribution of the Intercepts. 7.4 Lower Tail of Material Properties, Monotonically Dependent on the Amount of the Intercepted Fraction. 8.2.2 Failures due to Corrosion and Erosion. 8.3.1 Influence of the Design on Early-life Failures. 8.3.2 Influence of the Variability of Critical Design Parameters on Early-life Failures. 9 OVERSTRESS RELIABILITY INTEGRAL AND DAMAGE FACTORISATION LAW. 9.1 Reliability Associated with Overstress Failure Mechanisms. 10 DETERMINING THE PROBABILITY OF FAILURE FOR COMPONENTS CONTAINING FLAWS. 10.2 General Equation Related to the Probability of Failure of a Stressed Component with Internal Flaws. 10.3 Determining the Individual Probability of Triggering Failure, Characterising a Single Flaw. 10.4 Parameters Related to the Statistics of Fracture Triggered by Flaws. 10.5 Upper Bounds of the Flaw Number Density and the Stressed Volume Guaranteeing Probability of Failure below a Maximum Acceptable Level. 10.6 A Stochastic Model Related to the Fatigue Life Distribution of a Component Containing Defects. 11 UNCERTAINTY ASSOCIATED WITH THE LOCATION OF THE DUCTILE-TO-BRITTLE TRANSITION REGION OF MULTI-RUN WELDS. 11.1 Modelling the Systematic and Random Component of the Charpy Impact Energy. 11.2 Determining the Uncertainty Associated with the Location of the Ductile-to-brittle Transition Region. 11.3 Risk Assessment Associated with the Location of the Transition Region. 12 MODELLING THE KINETICS OF DETERIORATION OF PROTECTIVE COATINGS DUE TO CORROSION. 12.1 Statement of the Problem. 12.2 Modelling the Quantity of Corroded Protective Coating with Time. 13 MINIMISING THE PROBABILITY OF FAILURE OF AUTOMOTIVE SUSPENSION SPRINGS BY DELAYING THE FATIGUE FAILURE MODE. 14 RELIABILITY GOVERNED BY THE RELATIVE LOCATIONS OF RANDOM VARIABLES IN A FINITE DOMAIN. 14.1 Reliability Dependent on the Relative Configurations of Random Variables. 14.2 A Generic Equation Related to Reliability Dependent on the Relative Locations of a Fixed Number of Random Variables. 14.2.1 An Illustrative Example. Probability of Clustering of Random Demands within a Critical Interval. 14.3 A Given Number of Uniformly Distributed Random Variables in a Finite Interval (Conditional Case). 14.5 Reliability Governed by the Relative Locations of Random Variables Following a Homogeneous Poisson Process in a Finite Domain. 15 RELIABILITY DEPENDENT ON THE EXISTENCE OF MINIMUM CRITICAL DISTANCES BETWEEN THE LOCATIONS OF RANDOM VARIABLES IN A FINITE INTERVAL. 15.1 Problems Requiring Reliability Measures Based on Minimum Critical Intervals (MCI) and Minimum Failure-free Operating Periods (MFFOP). 15.2 The MCI and MFFOP Reliability Measures. 15.3 General Equations Related to Random Variables Following a Homogeneous Poisson Process in a Finite Interval. 15.4.1 Setting Reliability Requirements to Guarantee a Specified MFFOP. 15.4.2 Reliability Assurance that a Specified MFFOP has been met. 15.4.3 Specifying a Number Density Envelope to Guarantee Probability of Clustering below a Maximum Acceptable Level. 15.5 Setting Reliability Requirements to Guarantee a Minimum Failure-free Operating Period before Failures Followed by a Downtime. 15.5.1 A Monte Carlo Simulation Algorithm for Evaluating the Probability of Existence of an MFFOP of Specified Length. 15.7 Setting Reliability Requirements to Guarantee an Availability Target. 15.7.1 Monte Carlo Evaluation of the Average Availability Associated with a Finite Time Interval. 16 RELIABILITY ANALYSIS AND SETTING RELIABILITY REQUIREMENTS BASED ON THE COST OF FAILURE. 16.1 General Models for Setting Cost-of-failure-driven Reliability Requirements for Non-repairable Components/Systems. 16.1.1 A Constant Cost of Failure. 16.2 Cost of Failure from Mutually Exclusive Failure Modes. 16.4 Time-dependent Cost of Failure. 16.4.1 Calculating the Risk of Failure in case of Cost of Failure Dependent on Time. 16.5 Risk of Premature Failure if the Cost of Failure Depends on Time. 16.6 Setting Reliability Requirements to Minimise the Total Cost. Value from the Reliability Investment. 16.7 Guaranteeing Multiple Reliability Requirements for Systems with Components Logically Arranged in Series. 16.8 Risk of Premature Failure for Systems whose Components are not Logically Arranged in Series. 16.8.1 Expected Losses from Failures for Repairable Systems whose Components are not Arranged in Series. 16.9 Reliability Allocation to Minimise the Total Losses. 5. Probability of a Union and Intersection of Mutually Exclusive Events. 7. Probability of a Union of Non-disjoint Events. 10. Probability of a Union of Independent Events. 11. Boolean Variables and Boolean Algebra. 1. Random Variables. Basic Properties. 6. Joint Distribution of Continuous Random Variables. 8. Statistically Independent Random Variables. 9. Properties of the Expectations and Variances of Random Variables. 10. Important Theoretical Results Regarding the Sample Mean. APPENDIX C: CUMULATIVE DISTRIBUTION FUNCTION OF THE STANDARD NORMAL DISTRIBUTION. Michael Todinov Cranfield University, UK.